It’s always hard to predict the property market, but we’ve had a look into our crystal ball and here’s what we think will be happening in Sydney’s Eastern Suburbs real estate over 2019. As 2018 came to a close the broader Sydney property market was experiencing tougher conditions than it had been for some time. Tighter lending criteria made it harder for buyers to get a mortgage and this caused flatter – and even declining prices – across the country. That said, the beginning of a new year in real estate usually begins with great optimism, even in a tough market. We see no reason why 2019 will be any different. Buyers and sellers often wait until the fresh start of a new year to make a move and the mood generally becomes one of hope. Many people also make moving home their new year’s resolution. This often results in a flurry of new listings, brings new buyers out in force at open homes and leads to some generally good sales. The first big auctions for 2019 will come on the last weekend in February and this should be something of a guide to exactly where the property market stands. Sydney’s property market doesn’t move in unison and as we wrote in December 2018, this was evident in the sales figures recorded last year. Despite Sydney-wide declines in property prices, median prices actually rose in some parts of Sydney’s Eastern Suburbs last year. We expect to see a similar pattern over 2019. While it won’t be a fast-paced market overall, many blue-chip suburbs will register gains while prices in other parts of the East are likely to stay relatively flat or even drop slightly. But despite any short-term falls, the overall gains made in the previous five years still put Sydney’s East ahead of the game. One of the big winners for 2018 was the prestige market. We achieved an incredible number of suburb and street records and several other notable sales over $10 million. At the end of 2018, the prestige market was showing little sign of slowing. There are still plenty of buyers still looking to purchase top-end Sydney property, often in cash. This is a segment of the market that thrives on confidence. So, as 2019 gets started we expect to see the momentum at the top end continue to feed off the record sales that kept coming at the back end of 2018. By the end of 2018, we were seeing more enquiries and interest from a larger pool of potential overseas buyers – especially in the market over $4 million. This was thanks to a weaker Aussie Dollar making our real estate an attractive prospect. If the dollar continues to weaken over 2018, as many economists expect it may, this could filter through to the property market more generally. We expect to see this flush out even more overseas buyers, particularly expats, who will be seeking investment properties or family homes that they’ll rent out for some time before moving back to Sydney. Calendar events often have a big impact on the property market. This year we’ll have both a federal and a state election, and election dates are one of these calendar events that can really influence property sales. How will this affect you if you’re buying or selling? We’d advise you to get in early with a sale or purchase because once an election is called, the property market often falls into a period of uncertainty – a bit like a holding pattern – until after that election result is known. It can cause buyers to become more timid and sellers to hold off on listing their property. There are more obvious ways elections have an impact too, such as bringing in policy changes. In 2019 this could include much talked about changes to negative gearing, which could have a real impact on property investors. Changeover costs, such as stamp duty can have a major impact on the overall cost of buying a home – especially at the top end of the market. 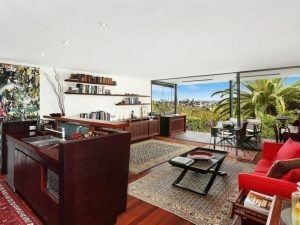 A property worth $4 million will attract stamp duty of over $200,000. This is leading many buyers looking to upgrade to consider whether it’s worth moving up the ladder at all. We believe that throughout 2019 and over the next few years we’re likely to see a trend towards large-scale renovations as an alternative to buying and selling. Expect to see more and more humble three bedroom homes become five or six bedroom luxury family homes. Possibly the biggest influence on the 2018 property market was changes to lending criteria. Because banks were prepared to lend less, people had less to spend, this naturally brought an end to rising prices in many parts of the market. With the final report from the Financial Services Royal Commission due to be handed to the Governor-General on 1 Feb, we can expect to see more discussion and flow on effects. It’s just one reason why it’s more important than ever for buyers to shop around to find the best lender, with the best mortgage deal for their particular situation. 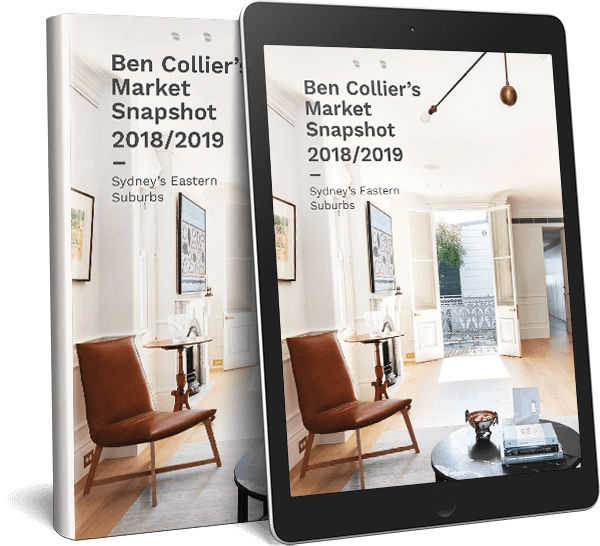 Thinking of buying or selling in Sydney’s East in 2019? Get in touch with our team today. Send message to agent for What Will The Property Market Do In 2019?